Picking out the best phone to buy is tougher than ever these days. It’s not just because we’re spoiled rotten with decent choices, but also because top tier products now cost upwards of $1000. That’s certainly not within everyone’s budget, and there are plenty of great new handsets available for substantially less. Unfortunately it’s these expensive models that grab all the attention, headlines, and bragging rights when showing off to your friends. Most of us probably look at these models first because we think we should, anything less is a cut down experience, but it doesn’t have to be that way. This handy guide is here to help you figure out what type of handset you should spend your cash on. Every company has its flagship products, but on an industry scale there are few handsets really worthy of this title. When we talk smartphone flagships we mean those that offer up the crème de la crème of smartphone technology and experiences. This year’s handsets like the Samsung Galaxy S8 and Note 8, LG V30, and Huawei Mate 10 Pro set a very high benchmark. In summary, these very top-tier handsets should be on the radar for those who have to be on the absolute cutting edge of technology, heavy media-oriented users, or enterprise customers looking for style and the latest software and security features. Otherwise, you’re probably better saving some cash and looking at other high-end options. The LG G6 and OnePlus 5T are arguably the best value flagships on the market this year, costing substantially less than $1000. The move towards ultra expensive $1000 smartphones has left the market segment for $500 to $800 handsets wide open. You’ll find plenty of flagship-caliber features in this sector, but if you primarily use your phone for a particular purpose, say photography or music, you can save some money here by scrimping on some other features. Moto Z2 Force – Modular accessories and top-tier performance, but so-so camera and no headphone jack. Do you even module, bro? You might not get absolutely everything the mobile industry has to offer in this bracket, and you’ll often find that last year’s flagships fall into this price point after 12 months. However, if you can forgo wireless charging, waterproofing, or perhaps only need 32 GB of storage (instead of 128 GB), you can still grab one of the year’s best phones without taking out a loan. Huawei’s Honor series has proven that you don’t have to compromise on looks or features when you’re budget conscious. These days you don’t need to go high-end to buy a great smartphone, and if you’re a penny pincher the mid-tier of $300 to $500 phones offer a great compromise. 1080p displays are more than good enough for general viewing (if you’re not into VR), and today’s mid-range processors still offer up plenty of performance for browsing the web and even light gaming. Selfie addicts and casual photographers will find phones dedicated to providing very compelling experiences at a sub-$500 price point too. You needn’t be worried about cheap designs at this price point either, Huawei’s Honor, Xiaomi, Oppo, and others offer some very well built and swanky looking designs. 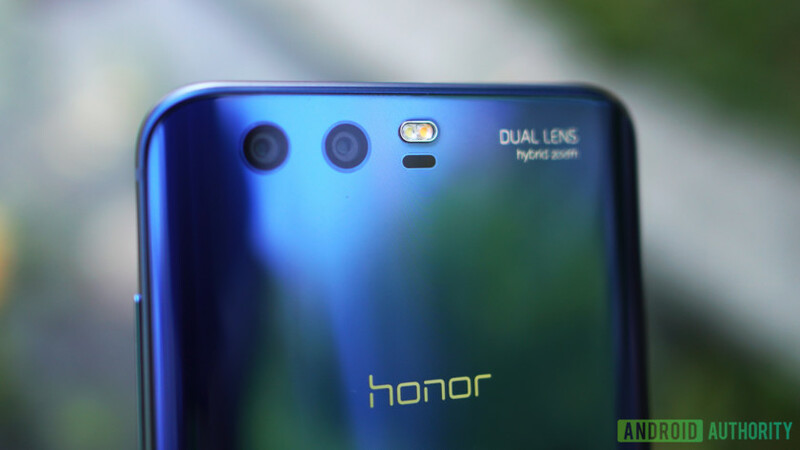 Check out the Honor 9 or HTC U11 Life, for example. Not forgetting that Google’s revamped Android One initiative is promising longer running OS and security support for these lower cost phones. The budget category is a broad subject in itself, ranging from sub-$100 handsets in some markets, to just under $300 for some nicer features. You won’t find anything cutting edge in these phones, but thanks to ever-improving technologies, you’ll still find passable cameras and performance here. Just don’t count on high frame-rate gaming, carrying around a library of your favourite films, or timely OS upgrades from your manufacturer. Ultimately, this category is for consumers who prefer low prices over everything else. If you often find yourself saying “as long as it’s functional and gets the job done”, then this is the market segment for you. No need of water resistance, fast charging, USB Type-C, NFC for mobile payments, etc. Today you’ll find a number of low cost handsets that will cater to some slightly fancier demands too, including fingerprint scanners and even metal build materials (see the Nokia 6). If you want a low cost snapper the Oppo F1 does pretty nice selfies. Xiaomi has plenty of Dual-SIM models for travelers and business users. The Alcatel Idol 5s looks stunning and can be grabbed for just $200 with lockscreen ads. Alternatively, check out the Moto G5S for a very capable all-rounder that won’t break the bank. Then there’s the Xiaomi Mi A1 that even promises rapid Android updates from Google. Flagship phones from a generation or two ago are a also a great way to buy on a budget. Hopefully this walkthrough has given you a better idea about what the best kind of phone might be for you. While flagships are a guaranteed great experience these days, there are plenty of niche, well-crafted, cheaper models that can give you exactly what you’re looking for in a phone. Better yet, these handsets won’t break the bank like today’s most expensive models. As many commentators have noted: good phones got cheap and cheap phones got good. My advice is to figure out what you prioritize most in a smartphone, be that cutting edge everything, specific features, or even just price. From there, it’s much easier to hunt down what you need. As a rough guide, business multi-taskers, gamers, and heavy media consumers will want to spend more, while those looking just to cover more common web-based experiences will be more than happy with reasonably priced models. There’s never been a better time to not spend much on a smartphone.